YES YES YES!!!! THE SEPTEMBER RELAUNCH PLAN IS ALREADY ROCKING!!!! Would you believe that in just the first 3 days, we already have people who have achieved 2 - 4 Customers ... and even enrolled their first new Business Partners?!!! 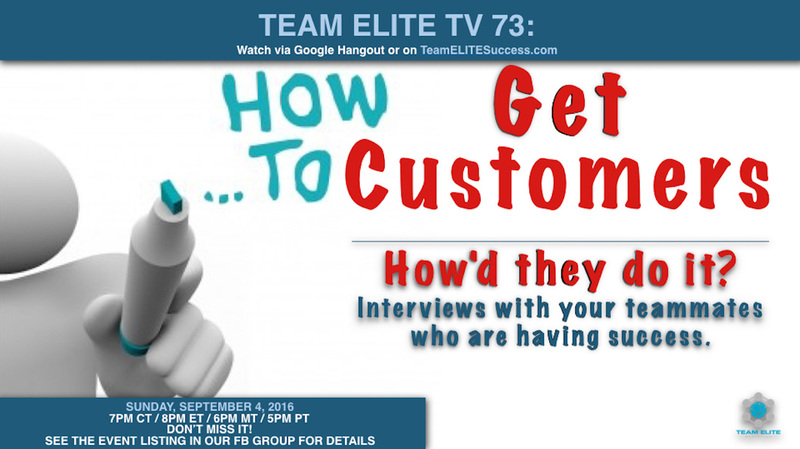 We'll be interviewing them on tonight's Team ELITE TV ... LIVE!